This Large Print Dake Bible has 2 columns of LARGE PRINT SIZE KJV text and 2 columns of LARGE PRINT SIZE NOTES. Description: This Large Print Dake Bible has 2 columns of LARGE PRINT SIZE KJV text and 2 columns of LARGE PRINT SIZE NOTES. No Bible in the world has as many notes (35,000) and cross references (500,000) as a Dake. 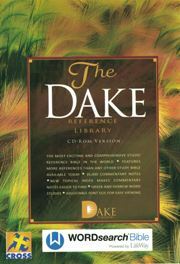 If you want the best then sooner or later you’re going to own a Dake! Why not now! This is a USED Bibe – but very rare and a collectors dream. The purpose of the Large Print Dake Bible is to give in one volume the helps a student of the Bible needs from many books—Bible Commentaries, Dictionary, complete Concordance, Dispensational Truth, Topical Text Book, Bible Synthesis, Doctrines, Prophetic Studies, and others. 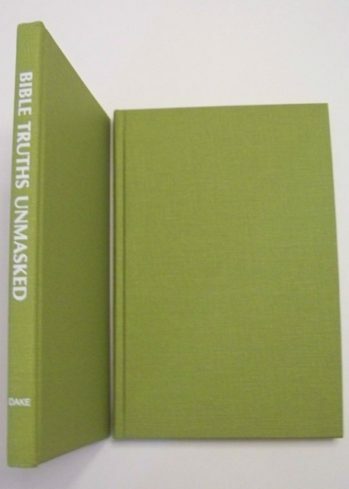 In the Large Print Dake Bible thousands of texts are amplified and there are many renderings from various versions. Important Hebrew and Greek words are given with definitions various translations. Obsolete and difficult English words are defined. 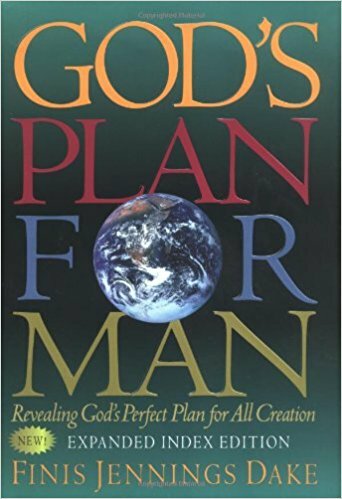 The general principle adhered to throughout the Large Print Dake Bible is: literalizing instead of spiritualizing. Statements of fact and historical accounts are accepted as such. THE RULE OBSERVED IS: Take the Bible literally wherein it is at all possible; if symbolic, figurative or typical language is used, then look for the literal truth it intends to convey. 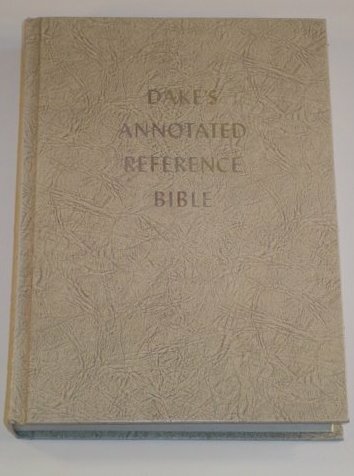 If you’re an avid student of the Bible as well a collector of sorts, this Large Print Dake is a great addition to any collection of rare Bibles. 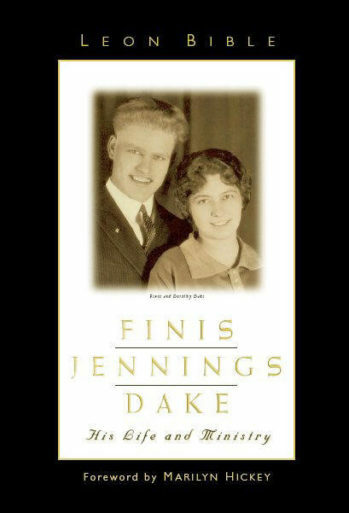 We pride ourselves in offering all products by Finis Dake, including rare, out of print editions of his Bibles and books. 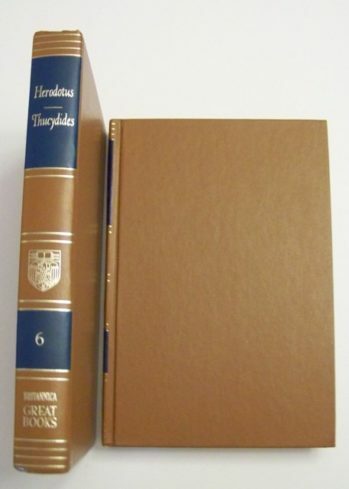 As with all pre-owned, collector’s books we offer on our site, they are thoroughly checked out and any imperfections will be noted here in the description. 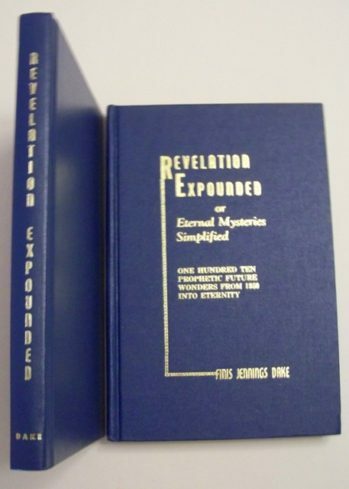 With that being said, all collector’s books we offer are pre-owned and usually show some general wear but for the most part are in very good condition unless otherwise noted.